Hello everyone! My name is Alayne Wegner and I am a classical violinist who is currently pursuing a Graduate Degree in Violin Performance. I specialize in classical repertoire, but I am happy to play other music such as jazz, celtic, and American folk tunes. Alayne was absolutely wonderful, she gave such a beautiful performance for our wedding. She was able to work with us on selections and provided some brilliant suggestions on pieces -- she absolutely made the day. Thank you, thank you, thank you!!! Alayne was great, on time and very professional. 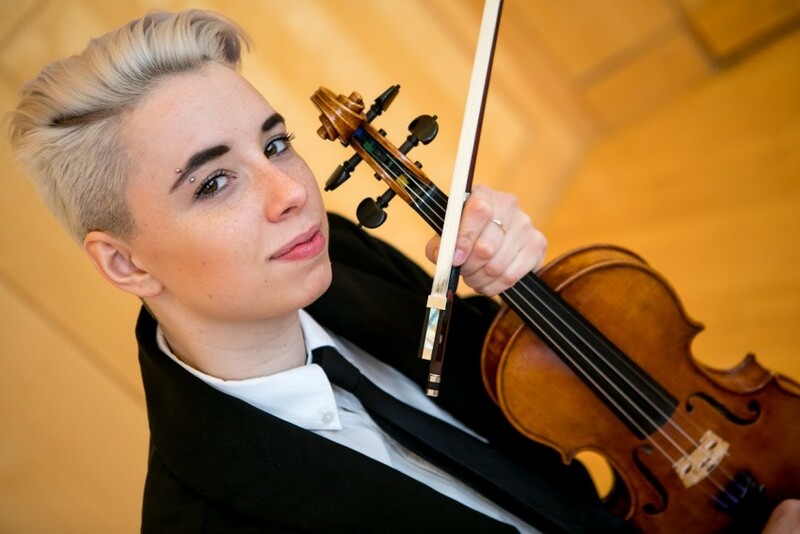 Alayne Wegner provides solo classical violin music for various events including wedding ceremonies and receptions, cocktail parties, fundraisers, and work events. Alayne Wegner is a recent graduate from Kenyon College with a dual degree in Music and Sociology. She began playing the violin when she was five years old, and hasn’t put it down since. Throughout her adolescence, she took private lessons with violin teachers Diane Ronda and Haijin Choi, participated in the St. Cecilia Orchestra, the Grand Rapids Youth Classical Orchestra, and the Grand Rapids Youth Symphony, and founded a quartet with fellow young musicians, the Four Suite Strings. 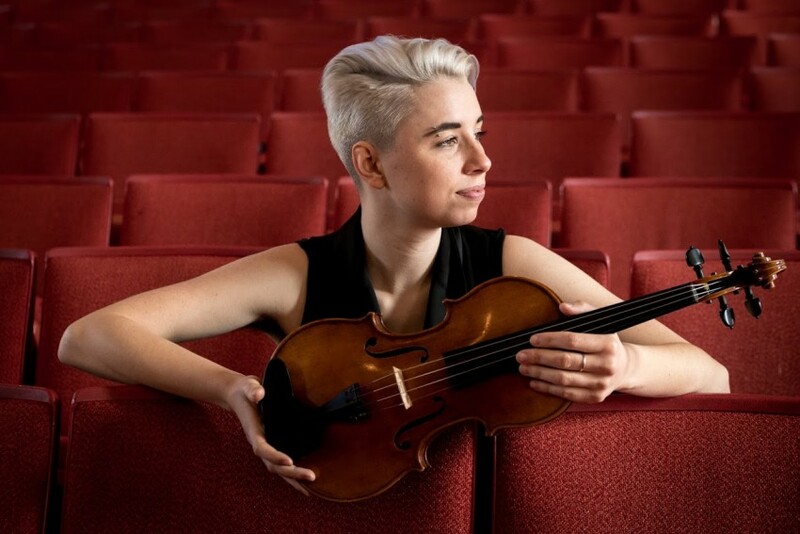 Upon coming to Kenyon, she was a founding member of the Chase Quartet, a self-led student ensemble that prepared three full concerts and often played for school and community events. In 2013, she was accepted into the pre-professional program at the Philadelphia International Music Festival, studying with Philadelphia Orchestra members Kim Fisher and Daniel Han, and playing under Cristian Măcelaru, the conductor in residence of the Philadelphia Orchestra. 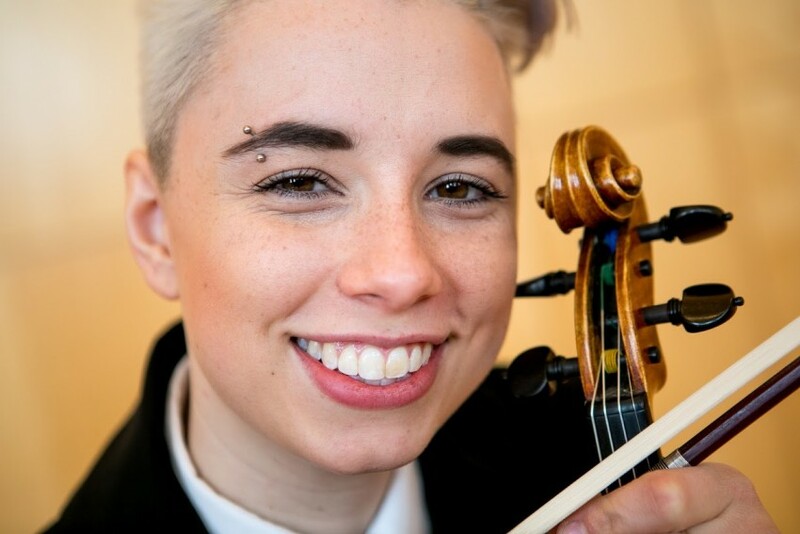 As a four-year member of both the Knox County Symphony, conducted by Professor Ben Locke, and the New Albany Symphony, conducted by Luis Biava, as well as a new member of the Newark-Granville Symphony, Alayne demonstrates a commitment to community cultural development by playing concerts in many locations across Central Ohio. 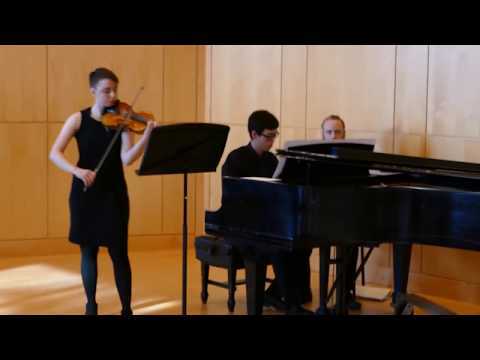 Alayne’s solo repertoire, prepared under the instruction of Ariane Sletner, has led her to place into the Kenyon College Angela Waite Recital in both 2014 and 2015, and to win first place in the college division of the Knox County Young Musician’s Competition, performing the First Movement of the Sibelius Violin Concerto with the Knox County Symphony in February of 2017. Upon completion of her Senior Recital and music comprehensive exams, she was awarded distinction in music as well as the Thomas B. and Mary M. Greenslade Award in Music Performance. During her 2017 Summer, she attended the Brevard Music Festival, where she performed in the Brevard Music Center Orchestra and Sinfonia, took private lessons with Benjamin Sung, and was a Semi-finalist in the Jan and Beattie Wood Concerto Competition. Alayne currently splits her time freelancing between Columbus, OH and Grand Rapids, MI.